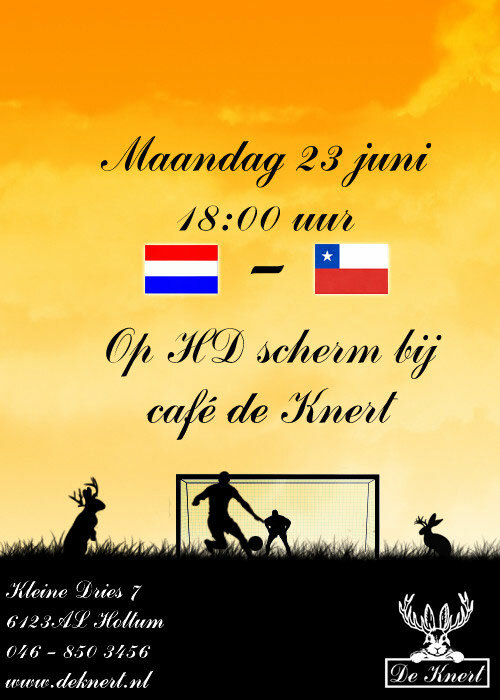 Speciaal voor de wedstrijd Nederland - Chili, zijn wij maandag 23 juni geopend vanaf 17:00 uur. Your style is so unique in comparison to other folks I have read stuff from. I appreciate you for posting when you've got the opportunity, Guess I will just book mark this blog. Thank you for the auspicious writeup. It in truth used to be a enjoyment account it. Glance complicated to far added agreeable from you! By the way, how can we be in contact? I'll right away grasp your rss as I can not to find your e-mail subscription link or e-newsletter service. Do you've any? Kindly let me recognise in order that I may just subscribe. Thanks.